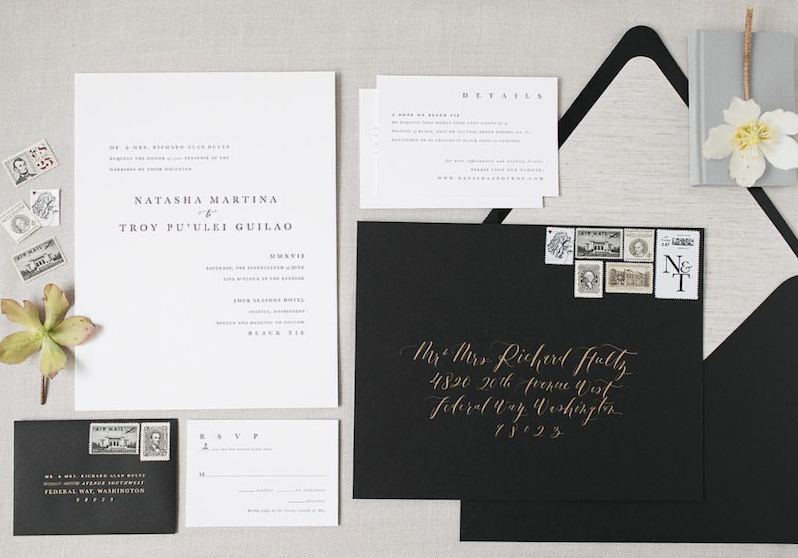 There's no denying that we have a moderate obsession with wedding invitation suites. 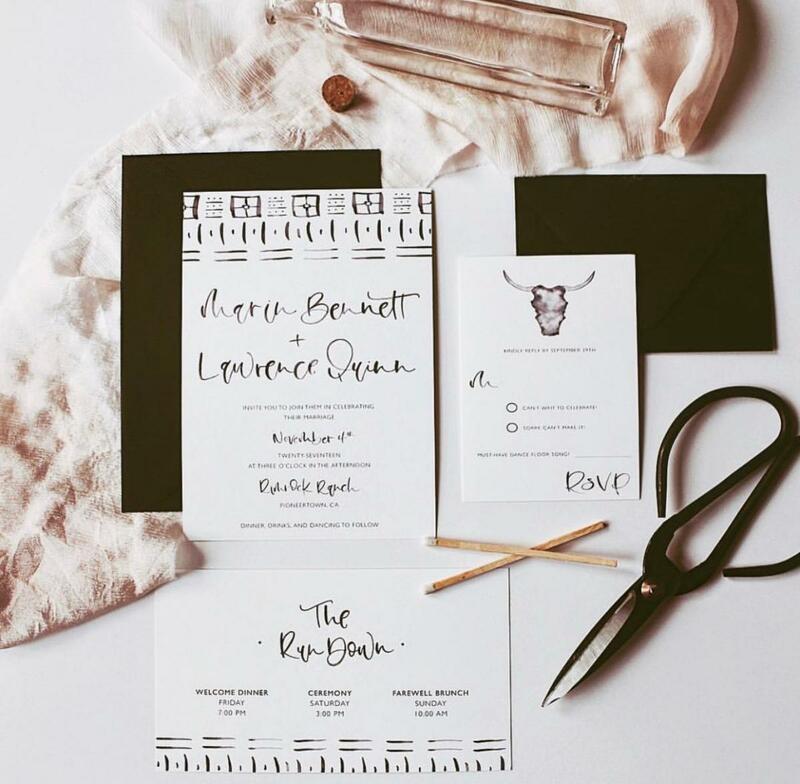 From digital to letterpress, modern to traditional, paint to ink...we love it all! 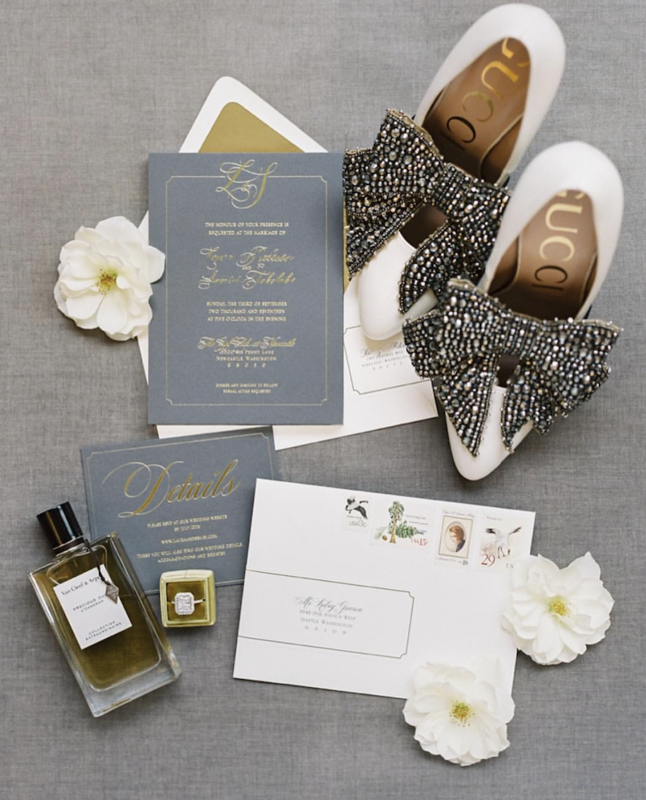 Invitations are the perfect way to foreshadow the wedding soon to come and make a lasting first impression. From custom creations to classic elegance, find your own personal style that will wow your guests without breaking the bank. 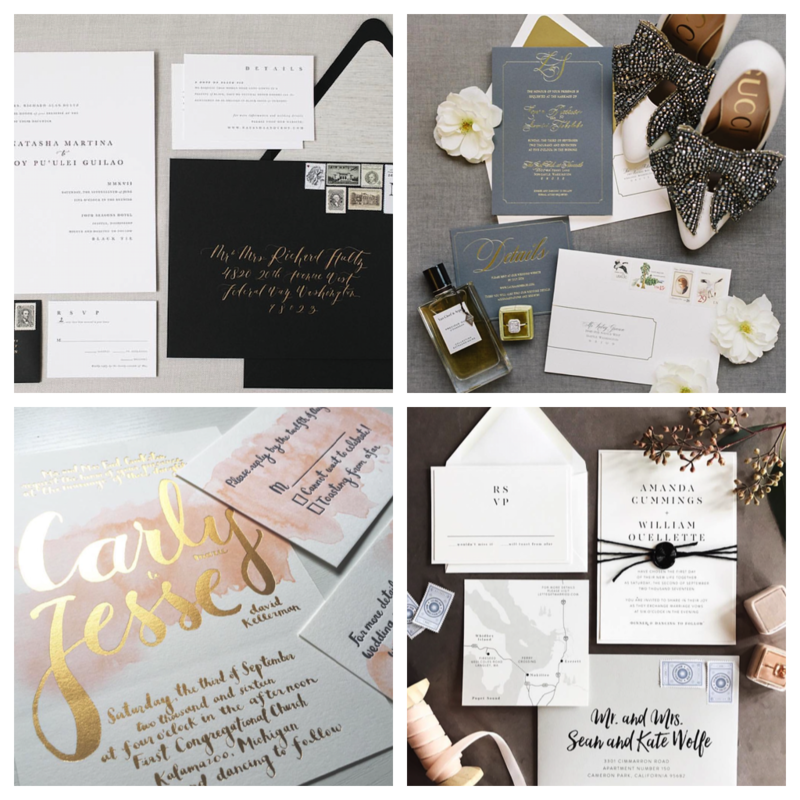 Here are nine invitation suites that caught our eye! 1. 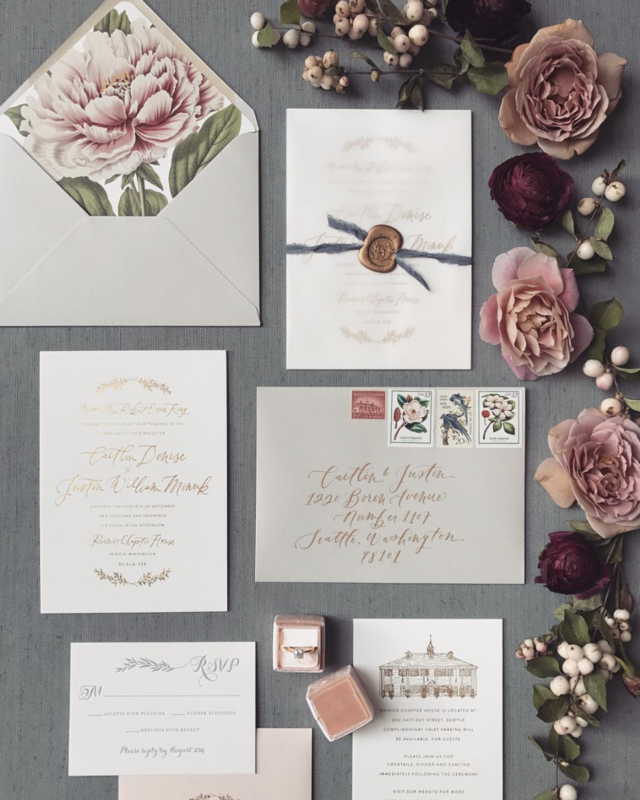 What's not to love about gold calligraphy and floral illustrations?! 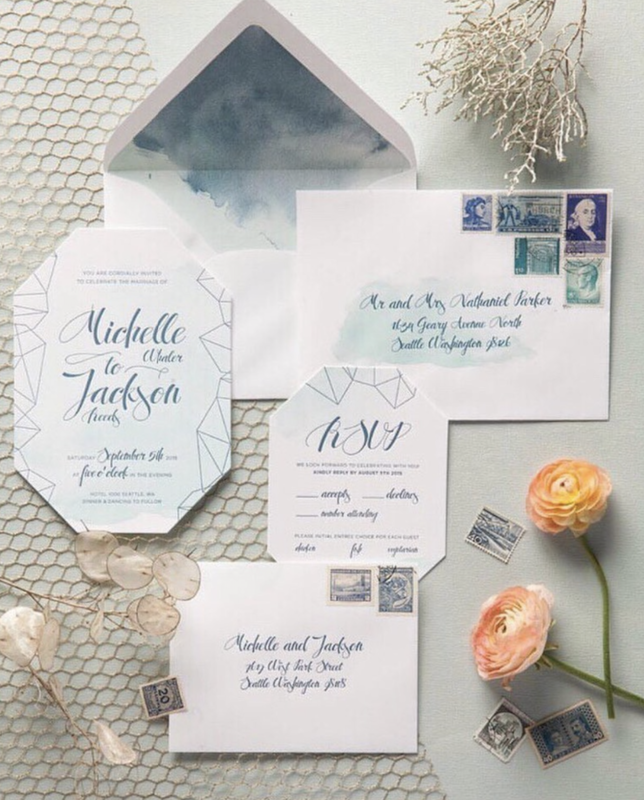 This stunning suite is all about the details from the envelope linen to the custom stamps. 2. If you're looking for something elegant, this pretty in pink is perfect. 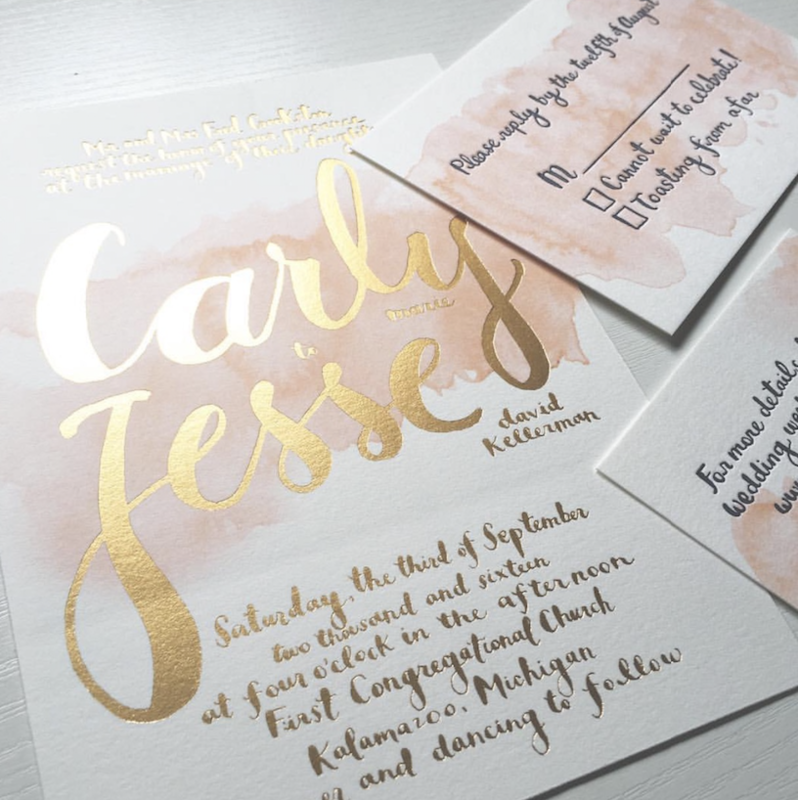 With watercolor, foil, and hand lettering, this very on-trend suite has it all! 3. Gold script writing, a classic white envelope, and a dusty gray invite-this invitation suite makes the perfect first impression. 4. Capturing the essence of the couple that is hipster chic, this invitation summons all the cool kids with its bohomian vibes. 5. 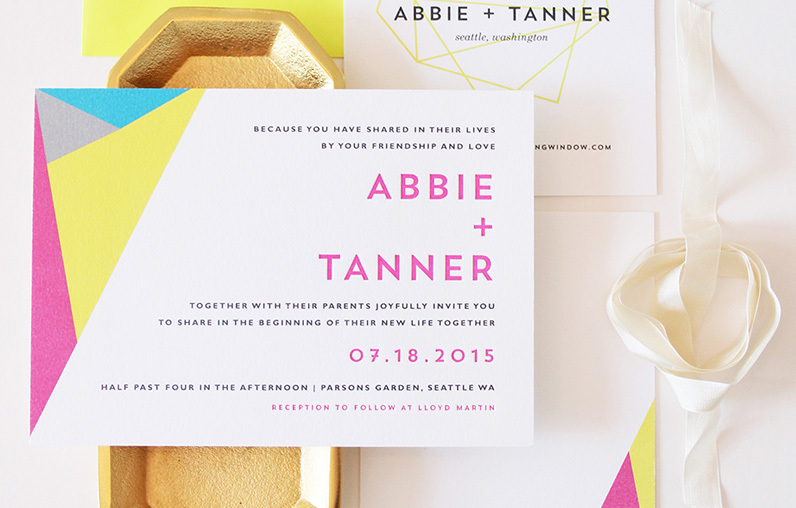 This bright and bold invitation is a surefire way to grab your guests' attention. 6. 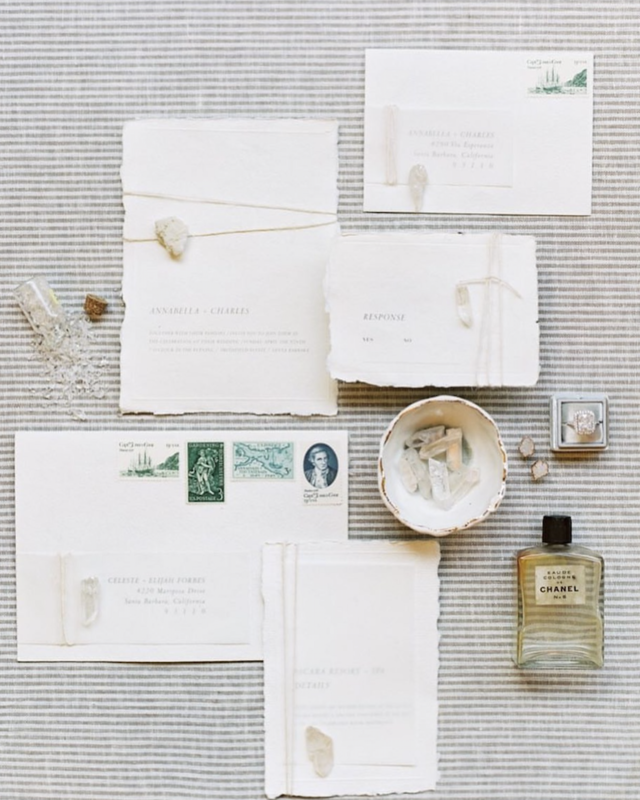 Vintage stamps, papyrus, natural stones and crystals - this invitation suite is giving off nothing but good energy. 7. This modern, monochromatic suite is all about the details. The oversized invite and envelope create and unexpected proportion for guests to receive in the mail. 8. 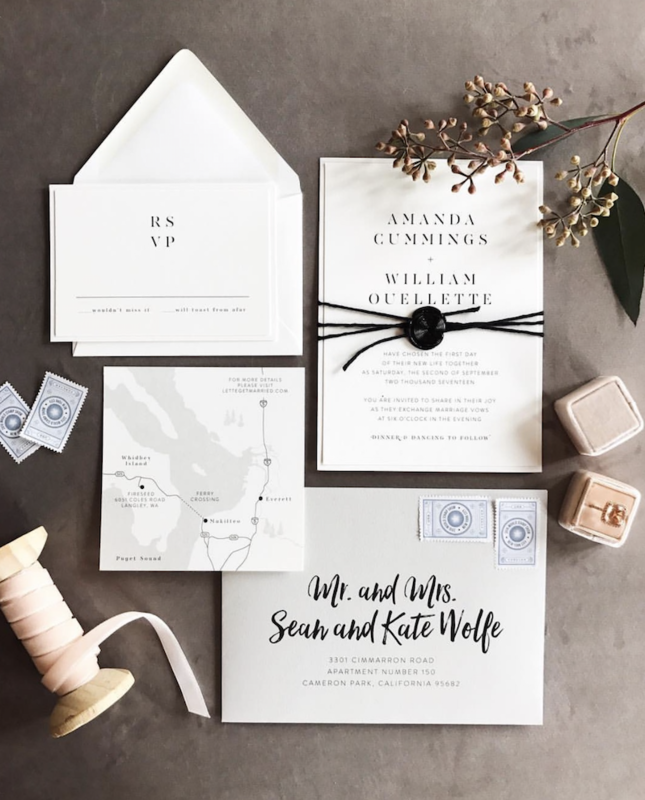 This personalized invitation suite, included a map of the Puget Sound and vintage stamps. The classic style and color palate came together to create a stunning first impression. 9. This simple, yet elegant suite is accessorized with water colored envelop inserts and custom cut invitations and is already making us blush.